In 2017, MVK was the local charity to benefit from the annual Subaru "Share the Love" campaign. A special thanks to Beechmont Subaru and Kings Subaru, and all of their loyal customers who designated MVK as their charity of choice when purchasing a new vehicle this holiday season. The funds we receive from this program are invaluable in our continued efforts to provide for agencies that serve kids in foster care, living in homeless shelters, teens living in rehabilitation facilities, mentoring programs and schools who serve kids living below the poverty level. We could not provide all these wonderful experiences for under-served kids in our community without this support! Thank you Subaru for your generous support of MVK and the deserving kids in our community! 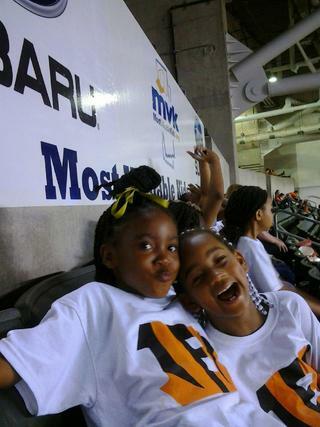 The Bengals game was a reward to these kids from the Boys & Girls Club after completing a service project through the Subaru Share the Love Initiative.